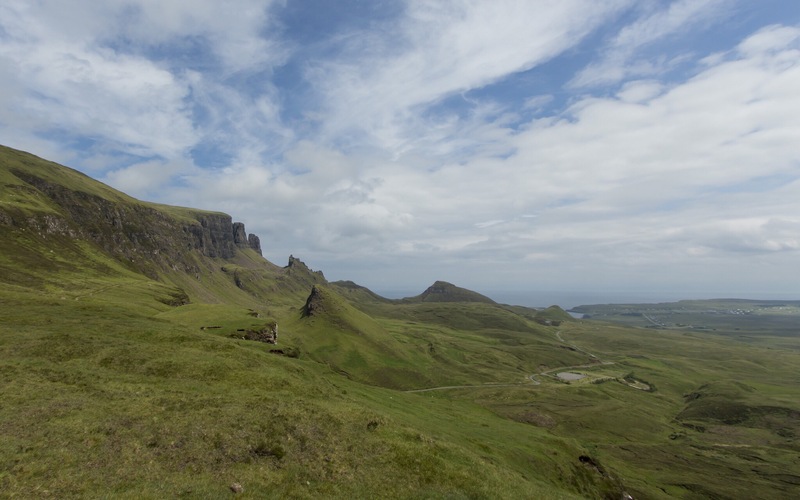 There’s less than a week left to enter the Skye Ultra Trail. You might be thinking I have some vested interest in you running it, well you’re wrong – if you run it that’s more competition for my finishing position and to the amount of cake I get to eat – but I still want you to come along and race it. It’s not a big race, it’s small and intimate and all the better for it I reckon. It’s a small, intimate looking race. It’s in a remote location (Isle of Skye) on a little island off the Scottish coast. If, like me, you’re English you can take advantage of the United Kingdom staying together and say thanks in person to the lovely Scottish people for staying the union. You can eat Haggis Melts until you explode at Cafe Sia in Broadford. The Isle of Skye has the, now disused, airfield seen at the beginning of Flash Gordon – you can go and re-create a famous scene from a classic film (I know I will be), or you can admire where Prometheus was shot further north on the island. You get to run in a 74 mile race from the top of the island to the bottom. You’ll be supporting a small beautifully formed race and help ensure it returns year after year after year. You get to meet me and see me cry my way through some of the UK’s finest trails. This is the best thing you’ll ever do with the late May Bank Holiday weekend. So don’t delay, Jeff, the Race Director is closing the entries so he can, presumably, sensibly prepare for the people he knows he has. You don’t want to miss out on this! I’d recommend viewing the Sage Clegg hike on the Isle of Skye to get a feel about the race you could be running – the video is here – see you there hopefully. Enter here or search ‘Skye Ultra Trail’ on Facebook – you won’t regret it. That one is on my race list… unfortunately for next year!